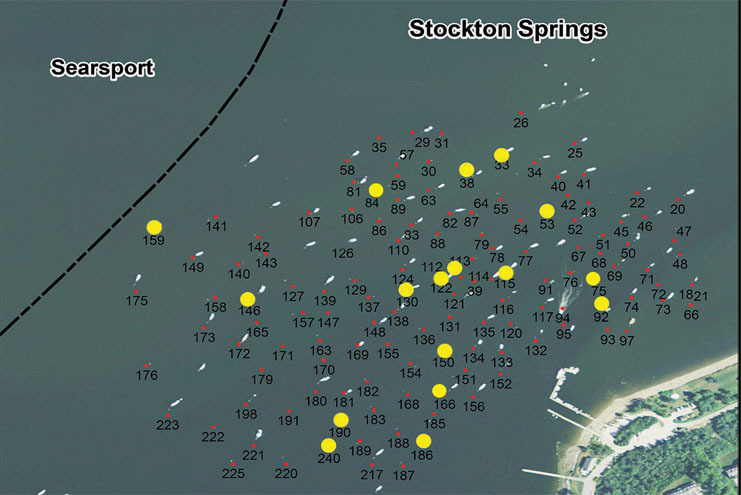 Stockton Springs Marine is pleased to offer mooring rentals in Stockton Springs harbor. Please call our office at 207‑567‑3200 for availability and price. Moorings are marked with yellow dots on the map below. We will direct you to a mooring based on several factors, including the size and weight of your boat. We will make every effort to get you as close to shore as possible.